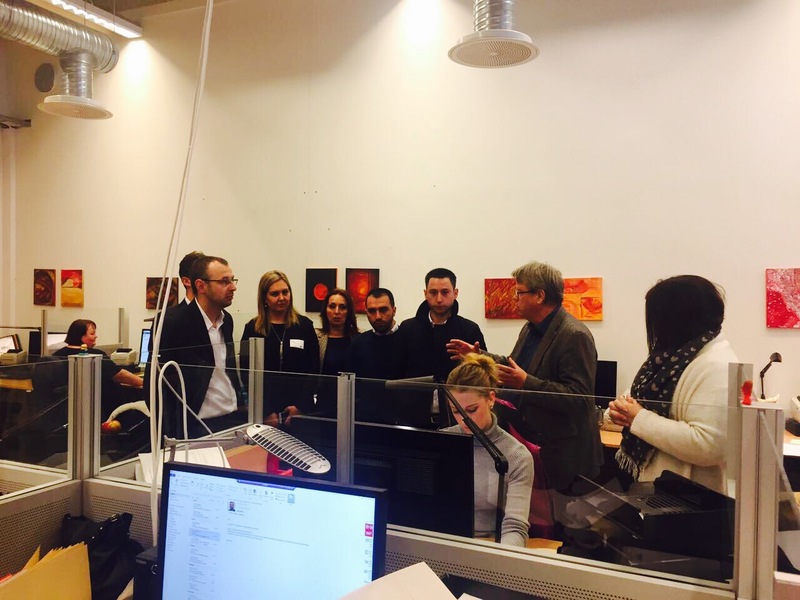 A delegation of the Kosovo Property Comparison and Verification Agency (KPCVA) visited Oslo/Norway at the invitation of the Norwegian National Cadastral and Mapping Agency (Kartverket) on 23 and 24 February 2017. On this occasion, the Acting Deputy Director of Kosovo Property Comparison and Verification Agency (KPCVA), Mrs. Florije Kika stated that the purpose of this visit was the preparation the Republic of Kosovo is making for the transformation of the Kosovo Property Agency (KPA) to a new mandate based on the Brussels Agreement on the Return of Cadastral Documents to Kosovo from Serbia within the Brussels Dialogue for the normalization of relations with the mediation of the European Union and the support of the United States. On the first day, the delegation visited the Headquarters of the Agency "Kartverket" in the town of Hønefoss where the director of the Office on International Relations of the Agency, Mr. Helge Onsrud, briefed on the process of registration of property and cadastre in Norway. Then the other officers like Mr. Hardy Buller and Sidsel Kvarteig talked about maps, scanning of orthophotos, storage and distribution of archive. In addition, during the following session, Mr. Helge Onsrud and Ms. Sabrina Grimsrud presented the functioning of their geo-portal whereas Jan Häusler presented material about the cadastral system, solutions as well as the access of public in terms of obtaining information on properties. In discussion, the emphasis was put on projects of international cooperation and the importance this cooperation has for Kosovo. Within the program, the delegation visited the University of Life Sciences as participants in the lectures of professors of international reputation, Erling Berge and Per Kåre Sky, who spoke on land management and its consolidation with specific emphasis on processes that Norway has gone through in this regard. This visit also helped for exchanging the Norwegian experiences as they are known for the processes they have gone through with regards to scanning of cadastral documentation, their indexing, comparison and verification of their cadastral documentation in the past. During this visit, Mrs. Florije Kika thanked the Norwegians a lot for their support given in the last mandate to the Kosovo Property Agency and invited them to see opportunities of cooperation in the future as Kosovo expects to receive the cadastral documentation from Serbia through the European Union and begin their comparison and verification in order to resolve potential property problems. The Kosovo delegation was consisted of Florije Kika, Albiona Maloku, Arben Canolli, Besar Sahiti from KPCVA, Gazmir Raci, Political Advisor to the Minister for Dialogue Edita Tahiri and Political Coordinator for the Implementation of the Agreement on Return of Cadastral Records, Mr. Murat Meha, Chief Executive Officer of the Kosovo Cadastral Agency (KCA) as well as Besmir Veselaj and Korab Ahmetaj from the KCA.